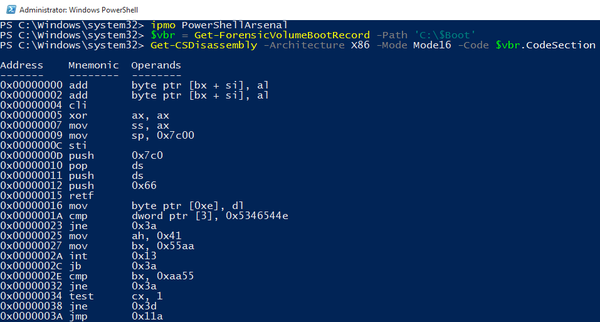 PowerShellArsenal is basically PowerShell for reverse engineering in a module format. The module can be used to disassemble managed and unmanaged code, perform .NET malware analysis, analyse/scrape memory, parse file formats and memory structures, obtain internal system information, etc. Disassembly – Disassemble native and managed code. MalwareAnalysis – Useful tools when performing malware analysis. MemoryTools – Inspect and analyze process memory. Parsers – Parse file formats and in-memory structures. WindowsInternals – Obtain and analyze low-level Windows OS information. Misc – Miscellaneous helper functions. Lib – Libraries required by some of the RE functions.